Here's an image from the movie This Is Spinal Tap. What does that have to do with February 5th? Read on! From "Curious Creative" on Ultimate-Guitar "11 Facts about Spinal Tap"
If you were born on February 5th, your birthstone is the beautiful lavender amethyst . (Ancient Greeks believed that the stone protected the wearer from drunkenness and enabled them to keep a balanced mindset.) You were born under the sign of Aquarius. (I can't help hearing that song "The Age of Aquarius" whenever I write that.) I hope you are having a Happy Birthday! It's supposed to be cold and snowy today in Chicago, a good day to work at home for those of you who have that option. Especially those of you who partied and celebrated the Super Bowl. Though it is cold and it's supposed to be snowy, we will still get an extra minute or more of sunlight... even if we can't see that sunlight through the clouds. We have 10 hours, 12 minutes, and 16 seconds of daylight today, so we've added back 2 hours 25 minutes of daylight since the Winter Solstice on December 21st. Countdown to Daylight Savings Time as of 7 p.m., February 5, 2018. Sunday, March 11, 2018, meaning we have 34 more early evenings until sunset in Chicago, today at 5:10 p.m., jumps to 6:52 p.m. We will then have about 24 minutes more daylight in total than we have now -- and 2 hours and 49 minutes more daylight than we had on the Winter Solstice on December 21, 2017. Seattle, Washington? London, UK? Philadelphia, Pennsylvania? Seattle, a bit north of Chicago, has 9 hours and 47 minutes of daylight, about 25 less minutes of daylight than we have in Chicago. Philadelphia, Pennsylvania, where people are not doing anything today but celebrating their first Super Bowl win, is slightly south of Chicago. Philadelphia has 10 hours and 20 minutes of daylight today, about 8 more minutes of daylight than Chicago. 1866 Arthur Keith, one of the early "nationalists" who felt that prejudice was "part of human nature" and "(has) been grafted deeply into our natures for particular purposes" such as "some higher survival purpose." 1900 Adlai E Stevenson, (Gov-D-Ill), presidential candidate (D) (1952, 1956). 1959 Jennifer Granholm American Politician, 47th governor of Michigan. Nigel Tufnel? 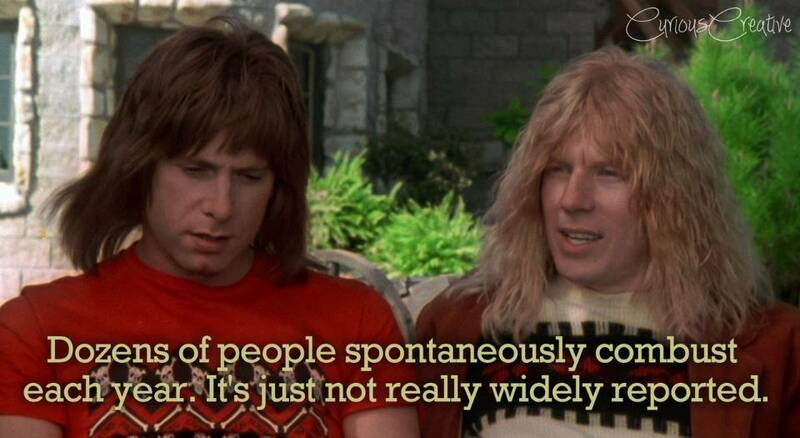 Well... Nigel Tufnel, the guitarist in Spinal Tap, really WAS a fictional character. But Christopher Guest, husband of Jamie Lee Curtis and former member of the UK House of Lords, who gave life to Nigel Tufnel, really was born on February 5, 1948. As it is cold and snowy today in many parts of the country, perhaps a good way to celebrate the day and the birthday of Christopher Guest would be to watch always-hilarious This Is Spinal Tap. Best in Show is great also. 2011: Brian Jacques, English author known best for his "Redwall" series, dies at 71. It's World Nutella Day! 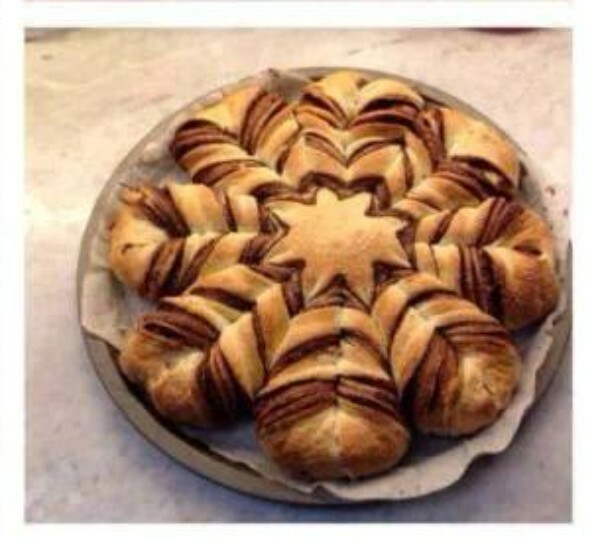 Try this braided Nutella bread.. if you dare. Link to recipe below. If you are not in Philadelphia and you aren't a fan of Spinal Tap, what else can you celebrate today, February 5? The National Day Calendar lists many interesting and/or weird "celebrations" for each day. For February 5th, they list National Weatherperson's Day, National Shower With A Friend Day, and World Nutella Day. Surely you heard about the riots in France just a week or so ago when some stores had a really good deal on Nutella: 70% off? You'd have to really love Nutella to undertake the Nutella braided bread in the photo above, but it might be something to tackle once a year if you have someone who goes insane for Nutella in your home. HERE's an article about mixing Nutella into chocolate frosting for a different cupcake taste. 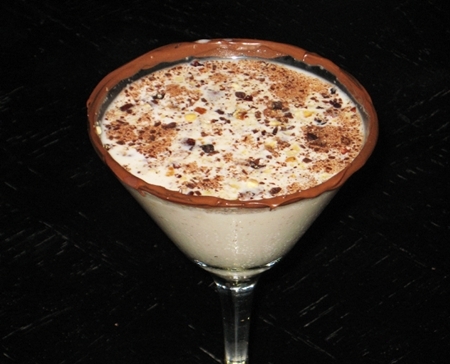 Try Nutellatini.. A drink made with hazelnut liqueur, creme de cocoa and a teaspoon of Nutella. A Nutellatini from Hampton's Road Happy Hour. Finally, try these creamcheese Nutella cupcakes:made with oreos (!) and Nutella. So if you are really fond of Nutella, you have drinks, breads, desserts for World Nutella Day. I wonder if someone has invented a salad with nutella or a meatloaf with nutella. I can't decide if those dishes would be interesting.. or just weird.